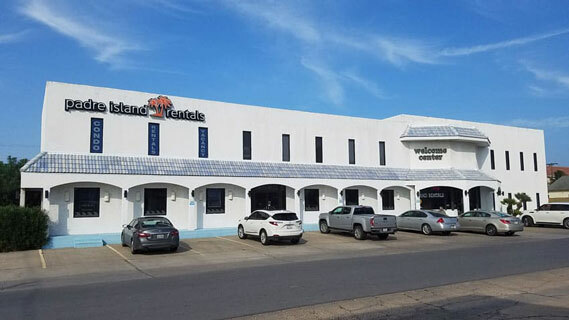 When renting one of the great homes or condos from Padre Island Rentals be sure to let the reservation agent know you plan on bringing your boat on vacation with you. South Padre Island is a narrow strip of land, often less than a half mile wide. Parking spaces during busy times of the year are a premium. (No, the island is not going to sink under the pressure!) Many of the condominium complexes will not accept boat trailers, but some allow for it, and sometimes we can make helpful suggestions. Contact Us in advance if you are planning to travel with your boat to South Padre Island. The rental properties below have dedicated boat slips available to renters. Please let our reservation specialist know if you will be bringing a boat. This executive quality condominium sleeps 8 with a king bed master bedroom, two twins in the guest bedroom. The alcove between the bedrooms and the living area has a day bed which contains 2 twin mattresses and the Sofa in the living has a queen sized pull out. 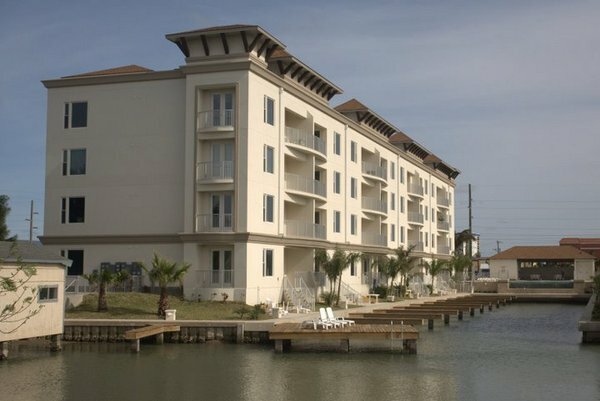 The private balcony faces south giving you a beautiful view over the entire southern end of South Padre Island, including the channels and the bay. Free WiFi. The dining table has 4 chairs and the breakfast bar is equipped with 4 bar stools. The heated swimming pool is one of the most beautiful on South Padre Island and has lots of pool furniture and lounge chairs. This condominium has its own assigned boat slip making this property for fishermen and boating enthusiasts. Approximately 12251 square feet. This executive quality condominium sleeps 8 with a king bed master bedroom, a queen in the guest bedroom. The alcove between the bedrooms and the living area has a day bed which contains 2 twin mattresses and the Sofa in the living has a queen sized pull out. 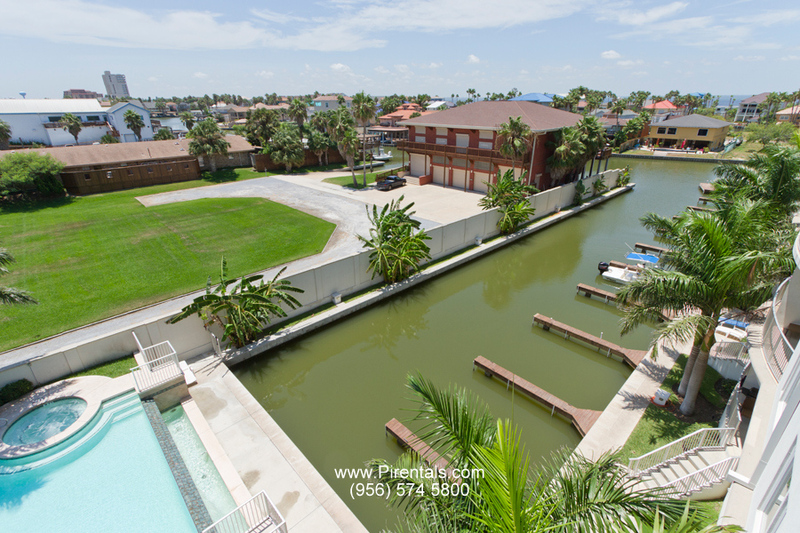 The private balcony faces south giving you a beautiful view over the entire southern end of South Padre Island, including the channels and the bay. The top of the line modern kitchen features stainless steel Fridgadaire appliances and is stocked with all the utensils that you will need to prepare gourmet meals. The dining table has 4 chairs and the breakfast bar is equipped with 4 bar stools. 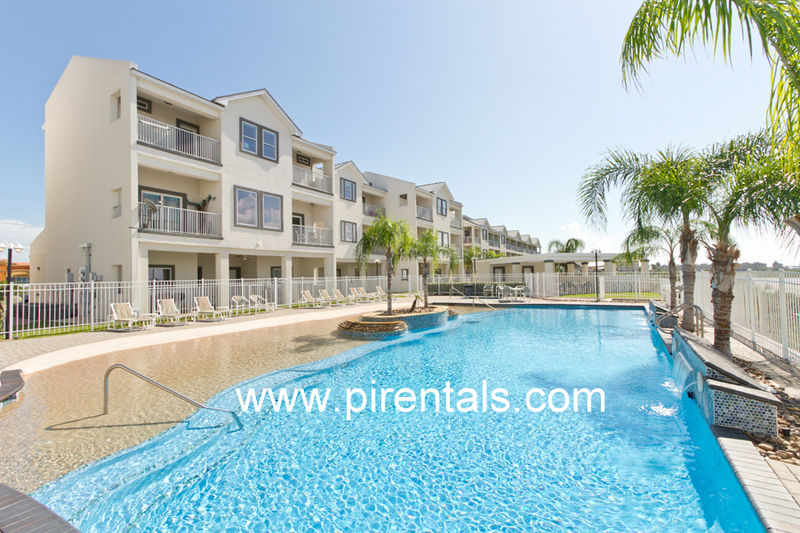 The heated swimming pool is one of the most beautiful on South Padre Island and has lots of pool furniture and lounge chairs. This condominium has its own assigned boat slip making this property for fishermen and boating enthusiasts. Approximately 12251 square feet. Download and print the Las Marinas Boatslips and Parking PDF, along with the Assigned Parking and Boatslip Chart PDF. A lovely town home on the Laguna Madre a short distance north of the causeway and only 2 blocks from the beach. Well decorated with a fully equipped kitchen and balcony overlooking the Laguna Madre. The Tortuga Bay Community is gated with a large infinity pool looking over the Laguna Madre and the Queen Isabela Bridge. Perfect for Couples looking for a Romantic hideaway. Boat Dock #2, the second one on the right as you come in from the channel. Less than 100 feet from unit. These properties have boat slips available but must are reserved in advance, based on a first-come first-served basis. When booking these properties please let your reservation specialists know you want to reserve a boat slip as well. Enjoy incredible sunset views over the bay from your private balcony. This unit sleeps 6 people with a king size bed in the master bedroom, a queen bed in the guest bedroom and a sofa sleeper. Many other amenities included such as DVD players and washer and dryer. Getting to the beach is an easy two and a half block walk. There are a good number of boat repair mechanics on the island and Port Isabel should problems occur, though we know that never happens. Boats run on love, don’t they? Public boat launches and marinas can be found throughout Port Isabel and on the island. Please see our list below.